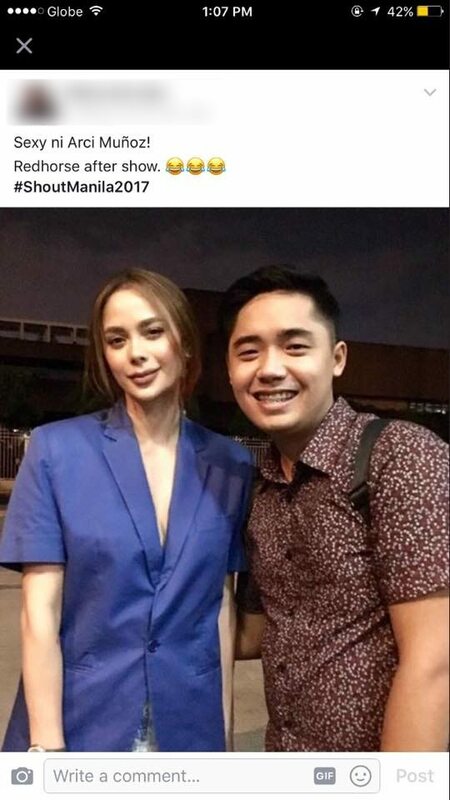 "It's My Body" Arci Muñoz Released a Statement About Pag-paparetoke! 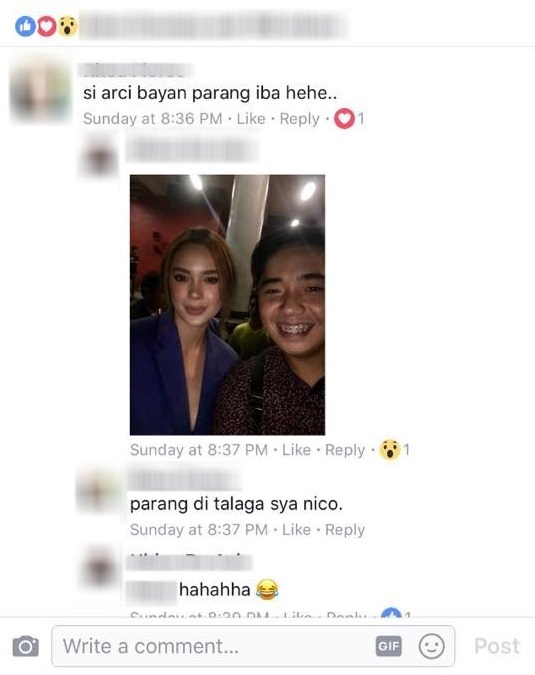 Kapamilya actress Arci Munoz has been the hottest talk of the town as pictures of her from a show started to spread like wildfire online. Social media users noticed what they claim as a major change in her face. Some people claimed that she underwent another plastic surgery operation to enhance her nose. Netizens are quick to conclude that her nose was lifted. Some of her fans completely understand the fact that it is her body and so she could do anything on it. However, there are others who criticize her for too much altering her physical appearance. But prior to this buzz on social media, Arci has always been very vocal about the surgeries that she had undergone. Arci has been frankly talking about being open in her decision to change her facial features. It’s no secret that Arci Munoz, one of the rising stars in the showbiz industry, has had a nose surgery in the past. However, it’s not for any cosmetic purpose. In 2014, Arci had an accident from a gig she was in. After the incident, she needed a few stitches around her eyes and nose area. Now, more people are starting to question her again for another alleged plastic surgery she did in a different part of her face. Her sultry lips have been the talk of the town for quite some time now. Most people think that the actress has gone under the knife to make her lips fuller than before. When she joined GMA‘s reality talent search, Starstruck, in 2005, her lips were obviously thin and dainty. This is why a lot of people wondered why she suddenly has a pair of full and voluminous puckers. 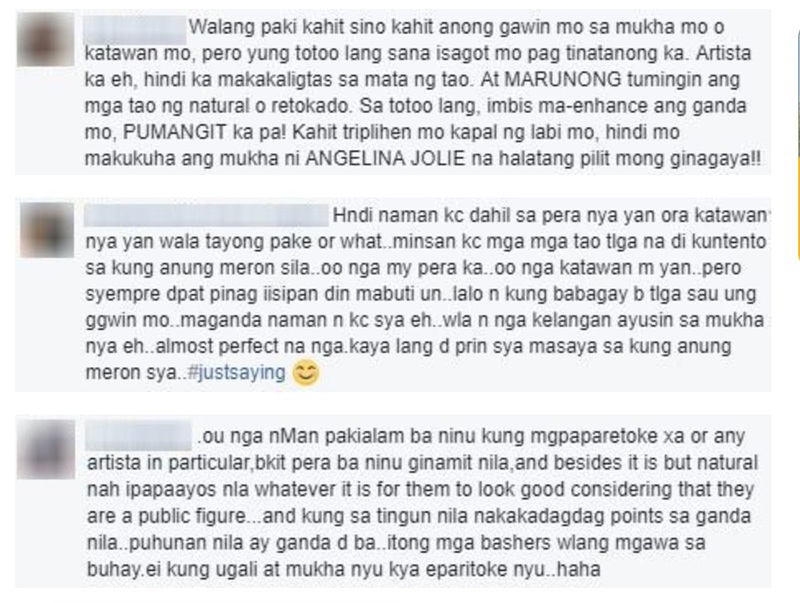 Finally, Arci has decided to break her silence regarding these allegations in an interview she had with Star Cinema. The actress was quoted to have said that she does “overline” her lips to make it look fuller. “Nagpapakapal naman talaga ako ng lipstick, nilalagpasan ko ‘yung lipstick ko. If I remove my lagpas lipstick, I’ll look the same,” she explained. Arci added that she has nothing against plastic surgery or the people who choose to undergo any procedure to make themselves look better. “It’s open naman, ‘di ba? Ako personally, I’m not against it. It’s my body, and whatever is going to make me feel more comfortable and more confident sa aking sarili…I’ll do it,” she said. What can you say about Arci’s statement? Do you believe that she hasn’t undergone any lip surgery? Let us know what you think in the comments section!